A sleep system is a strategy to improve sleep and it can involve behavioral changes, exercises and products to promote sleep. People who have sleep disorders have many options to consider, ranging from simple, low-cost approaches to pricy systems designed for better sleep. A comparison of the best sleep systems can help you make a sound decision in developing a plan for a better night's sleep. Sleep systems are at their best when they work well for the consumer. Compliance is an issue that needs consideration, especially when it comes to behavioral changes for better sleep. If a person doesn't use the sleep system or doesn't use it correctly, they won't get the benefits. Keeping a sleep diary can help you pinpoint specific elements that may interfere with your ability to get the rest that you need. Eat foods that make you sleepy before bedtime and see if they help you to fall asleep and stay asleep. Consider cognitive therapy for sleep problems. This approach can help you make important behavioral changes while working with your thought processes. These approaches are appealing because they do not require medication, supplements or expensive products. In some cases, exercises specific to promoting sleep may be the most effective approach. A comparison of the best sleep systems includes exercises that may promote sleep. Exercise is commonly associated with wakefulness; but, it can promote sleep. While a hearty workout an hour before bedtime can make falling asleep difficult, working out early in the day can help you sleep better at night. In addition, other forms of exercise may help. 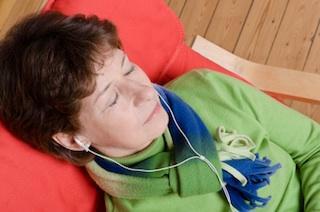 Progressive relaxation techniques include sleep induction methods. The approach focuses on breathing exercises for full body relaxation. This is a no-cost option that you may want to try before you try exercises which are more complex. Sounder Sleep System is an approach that uses excitation and inhibition, two opposing elements of a person's nervous system. The can shift from excitation to inhibition (waking to sleep) at the individual's will using "Mini-Moves" as sleep inducing practices. In addition, the system incorporates stress relieving exercises to complete during the day. You can attend a seminar, class or a private consultation to learn how to complete the exercises. If attending events is difficult, there are books, videos and audio recordings available for at-home study. Sleep systems which use breathing and small movement exercises may be effective, but like habits, they require consistency and effort. Some people may find that augmenting these systems with products can yield better results if they can't consistently stick to a program. Sleep products can be organized into different types. Some offer relief for specific breathing disorders that affect sleep. Others promote relaxation and some address sleep positioning problems. Sleep systems that address breathing problems include stop snoring products and sleep apnea treatments. Snoring sleep systems run the gamut from products that keep nasal passages open to sprays and pills for snoring. Among the most recommended treatments for sleep apnea are CPAP machines. Phillips Respironics Sleep Systems is an example of a line of products designed specifically for sleep apnea patients. If you think that you may have sleep apnea, it is necessary to see a doctor for proper diagnosis. CPAP machines are prescribed by a physician. In addition, severe snoring can be a sign of underlying medical problems which may need to be addressed. Using products specifically designed for sleep apnea or snoring are ideal if you have a diagnosis; but they can be complemented with other products. Relaxation is integral to a good night's rest and sleep positions are important elements to consider as well. If you have pinpointed stress as a major part of your sleep problem, some products may help you to relax. If you have aches and pains keeping you from getting enough rest, positioning products may help. The Delta Sleep System is an example of a product that uses sound to induce sleep. The premise of this type of system is that sounds can signal the brain to enter the stages of sleep by helping it to shift from one brainwave to the next. This product promises to promote delta brainwaves for better sleep. Sleep masks help to create a dark environment, which can increase melatonin levels, which in turn, promotes sleep. Combined with relaxation techniques, hypnosis recordings or sleep hygiene, a simple sleep mask may be the small boost you need for improved rest. Pillows come in countless forms, ranging from travel designs, neck support styles and memory foam. Lumbar positioning products raise the knees to relieve stress on the back. Positioning wedges can help you find the right sleeping position for ultimate comfort. Mattress toppers can transform an average bed to a comfortable sleep system. It helps to begin with a visit to your doctor. This is the best way to pinpoint the causes of your sleep problems and to rule out medical conditions before choosing a sleep system.